Hyperloop One is a firm that was established to commercialize the concept of Hyperloop, which Elon Musk, CEO of SpaceX and Tesla, had projected and directed open-sourced in 2012. 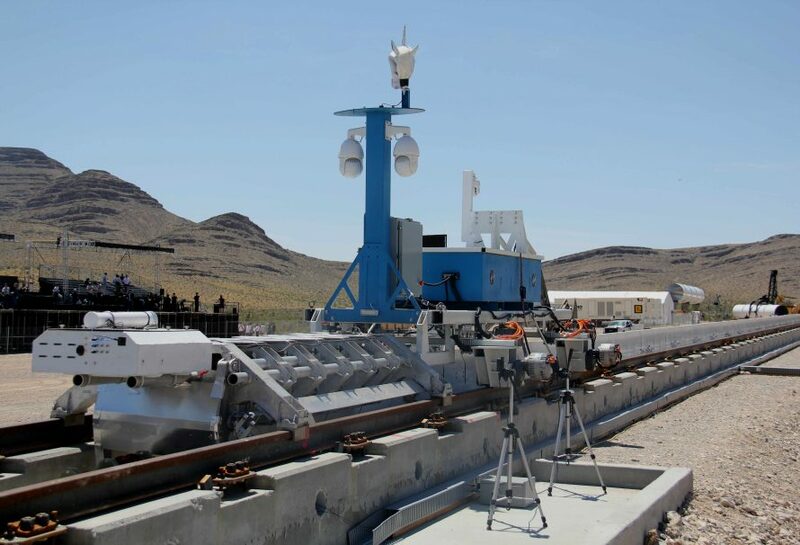 And now, it has accomplished its first successful full-system trial that was conducted on May 12 on the test track of the company in Nevada. The track, entitled as “DevLoop,” is 500 meters long and its creation was initiated in October. Even though the carbon fiber and aluminum pod of the company is intended to carry cargos and humans at near-supersonic speeds, in the course of the test it reached 70 mph and pulled 2 Gs. In the next stage of the trial, the company expects to attain 250 mph. The firm verified the functioning of all the components of the system, including vacuum pumping system, vehicle suspension, motor, electromagnetic braking, magnetic levitation, and more as a single combined entity in a vacuum. The process comprised thousands of hours of labor by almost 200 fabricators, engineers, and welders. Apart from declaring the private trial, Hyperloop One also revealed the pod prototype that will function within the incorporated system. Manufactured from a lightweight carbon fiber and structural aluminum, the 28-feet casing will transport cargo and passengers within the tube with the use of magnetic levitation and electromagnetic propulsion.